This entry was posted in British Domestic Terrorism, Iraq, Islamic Militancy, Mohammed Emwazi (Jihadi John), Syria and tagged Aafia Saddiqui, Aafia Siddiqui, Abdel Majed Abdel Bary, Abdulmalik Mohammed, Ahlam al-Nasr, Ahmed Kasper Mikhaimar, al-Qaeda, al-Shabaab, al-Shabab, Ali Adorus, and Shahajan Janjua, Antisemitism, Asim Qureshi, Austria, Balkans, Berjawi network, Bilal Berjawi, Bosnia, CAGE, Cageprisoners, Choukri Ellekhlifi, Denis Cuspert, Fazul Abdullah Mohammed, Hamza Chentouf, Harun Fazul, Hussain Osman, Iran-based al-Qaeda network, Iraq, ISIS, Islamic State, Jabhat al-Nusra, Jabhat an-Nusra, Jihadi John, Khorasan Group, Marcel Schrodl, Michael Adebolajo, Millatu Ibrahim, Mirsad Omerović, Moazzam Begg, Mohammed Elyasse Taleouine, Mohammed Emwazi, Mohammed Ezzouek, Mohammed Ibrahim, Mohammed Mahmoud, Mohammed Sakr, Muhsin al-Fadhli, Reza Afsharzadegan, Salafi-jihadism, Saleh Ali Saleh Nabhan, Somalia, Syria, Tanzania, The London Boys, Vienna, Walla Eldin Abdel Rahman on March 13, 2015 by KyleWOrton. 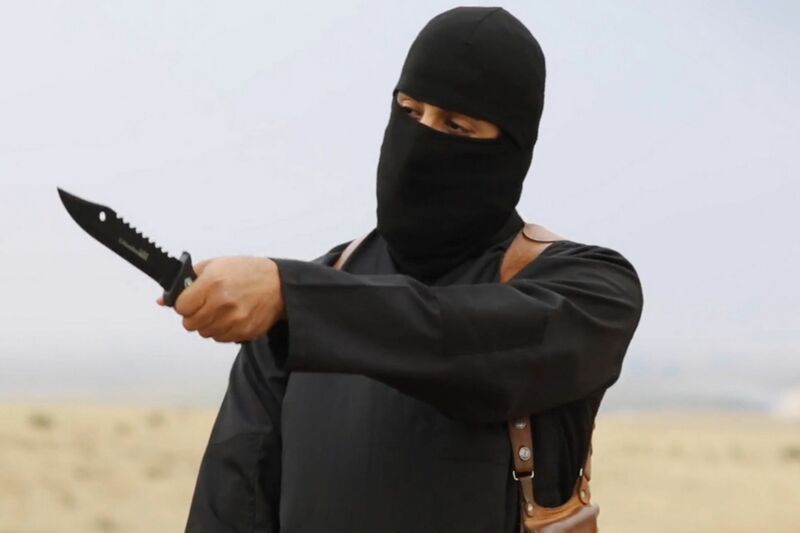 Earlier this week I wrote of the unmasking of “Jihadi John,” the Islamic State’s (ISIS) video-beheader, as 26-year-old British citizen Mohammed Emwazi. I had two purposes. One was to gloat over the implosion of CAGE (formerly Cageprisoners), an Islamist terrorist-advocacy group that had gotten itself called a “human rights organisation“. 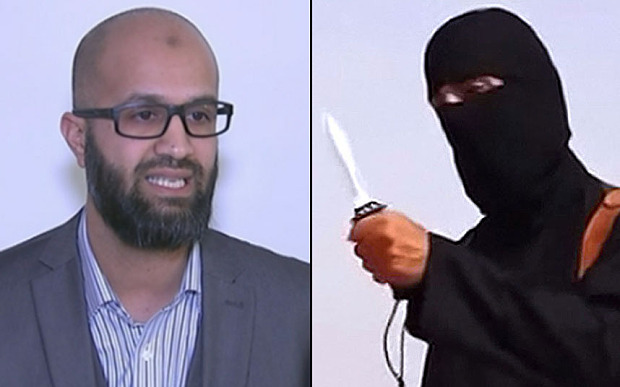 And the second was to point out that the narrative peddled by CAGE and other apologists, that Emwazi had been radicalised by heavy-handed British security methods, was plainly absurd. This entry was posted in British Domestic Terrorism, Foreign Policy, Islamic Militancy, Mohammed Emwazi (Jihadi John), Syria and tagged 9/11, Abdul Malik, Abdul Malik Bajabu, Abdulmalik Mohammed, Abu Qatada al-Filistini, al-Qaeda, al-Qaeda in Iraq, al-Qaeda in Mesopotamia, al-Qaeda in the Arabian Peninsula, al-Shabaab, al-Shabab, Ali Adorus, Andrew Neil, Asim Qureshi, bedoon, Berjawi network, bidoon, bidoun, Bilal el-Berjawi, CAGE, Cageprisoners, Choukri Ellekhlifi, Failaka Island, Faylaka Island, Fazul Abdullah Mohammed, Haitham al-Haddad, Hamza Chentouf, Harun Fazul, Hizb ut-Tahrir, Ibrahim Magag, Iran, Iran-based al-Qaeda network, ISIS, Islamic State, Islamism, Jabhat al-Nusra, Jabhat an-Nusra, Jihadi John, Khalid al-Dossary, Kuwait, Marcel Schrodl, Mohammed Abdulmalik, Mohammed Emwazi, Mohammed Ezzouek, Mohammed Sakr, Muhsin al-Fadhli, Osama bin Laden, Quintin Kynaston academy, Reza Afsharzadegan, Salafi-jihadism, Saleh Ali Saleh Nabhan, Saudi Arabia, Shahajan Janjua, Somalia, Syria, Tanzania, terrorism, The London Boys, U.S.S. Cole attack, Walla Eldin Abdel Rahman, Westminster University, Yemen on March 7, 2015 by KyleWOrton.